Spend Your Money Wisely! Use Our Stunning Additional Services! Progressive delivery is a distinctive service that we offer to our customers. If our customers want to manage their 20+ orders (double spaced), as well as 10+ orders (single spaced), they can always order this service from our company. The customer may easily track the way of how his / her work is completed. We guarantee that all works written by our writers are always delivered in parts / chapters / drafts/ so that the customer will be able to approve them before the set deadline. The customer is guaranteed to have free revisions within 30 days. Regular works are revised within 2 days. Highly qualified support staff, writers, as well as editors. None of the online writing companies, except our company, can provide their customers with a skilled manager. Our managers assist the customers and the writers in communicating with each other whenever there is a necessity. if the urgency of the work ordered is up to 4 days, we provide one draft within half of the deadline set. The draft volume is to be equal to 25% of the final work. If the work comprises 40 pages, a 10-page draft is sent by the writer. if the urgency exceeds 5 days, 2 drafts are usually sent within 25% and 50% of the work deadline. The volume of the drafts is required to be 25% and 50% of the final paper. if the urgency of the work ordered exceeds 11 days – three drafts can be provided by the writer, depending upon the requirements, complexity, customer’s remarks, etc. Progressive delivery service costs 15% to the sum of the order. * Please consider that each customer’s remark, requirement or, suggestion is always followed by our responsible and trustworthy writers and support staff. Whatever our customers need is always guaranteed to be completed accordingly and on time. 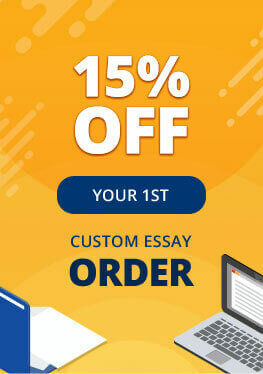 If the customer orders our 1-page summary service, the writer will focused on the complete work summarized on one page with the key points highlighted. The customer who is to provide a report on the topic under research is advised to order this service. Whenever the customer makes an order of this service, he / she gets a 1-page draft. The word count depends on whether a work should be single (600 words) or double (300 words) spaced. A 1-page draft is to be completed after 50% of the end of the deadline set by the customer. For instance, if the urgency of the work is 6 days, the draft is supposed to be delivered in 3 days. We do guarantee a free revision on each work completed within 48 hours since the moment it has been delivered to the customer. This service enables our company to prolong the above timeframe up to 14 days!